With only 10 years to avert a climate crisis, every elected official that comes into power from now on has *literally* no choice but to be a climate leader or we face nothing but environmental crises in the years to come. This is one of the reasons why we want Minnesota to be the first state in 2019 to stop a major fossil fuel project — the Line 3 tar sands pipeline. Why Minnesota, you ask? Well for starters, Enbridge, the company expanding the pipeline, has spilled 66,059 barrels (aka 2.8 million gallons or more than four Olympic-sized swimming pools) of hazardous liquids in the U.S. since 2002, meaning that could certainly harm local communities if the project moves forward. Second, many of the Indigenous communities in the line’s wake have not given their consent for the expansion of the project. Treaty lands stand to be impacted by Line 3, and it’s an important issue for indigenous sovereignty that a pipeline not be built across treaty lands without the consent of all the impacted tribes. 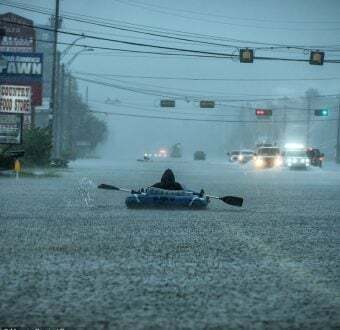 Lastly is the urgency of keeping oil and gas in the ground to avert the worst impacts of climate change, ones that are already causing tremendous damage around the globe. We can’t wait anymore for politicians to maybe — or maybe not — step up and do something about it on their own accord. Newly elected officials can’t say they support action on climate while letting massive fossil fuel projects persist. Governor Walz has the vital role of protecting all Minnesotans from the direct and indirect impacts of this pipeline project that will affect the region for generations to come. The fact that you’re reading this blog means you share the same desire for climate action as I do. And that means no more compromises on a livable future. So in this case, we must make sure Minnesota Governor Tim Walz knows exactly what’s expected of him — be a climate leader or get out of the way. Have a twitter account? Great! Here’s what’s happening — we’ve created a Social Media Hive that will be tweeting at Governor Walz and his administration all month, demanding that he stop Line 3 and protect our water and climate, as well as respect Indigenous lands and sovereignty. You can help shed light on the many faults of this dirty pipeline and tag@GovTimWalz while using the hashtag, #StopLine3.
.@GovTimWalz & @LtGovFlanagan: You ran as champions of science & evidence – so please let the DOC lawsuit on #Line3 play out in court. The proposed route of new Line 3 pipeline crosses some of the most pristine lakes & wetlands, some of the largest rice beds in the world and Minnesota's delicate soil. Listen, with enough pressure from the public, including on social media, Governor Walz could decide to stop this pipeline that would threaten local communities, Indigenous sovereignty, the water, and our climate. Will you join our Social Media Hive? We need all hands on deck if we’re going to shift mindsets around this destructive pipeline! This plan will only work if we have as many people tweeting to the Governor as possible. We have seen a growing need for social media support in every one of our campaigns over the last several years. Now, we’re taking it to the next level with the Social Media Hive! Our awesome volunteers have committed to dedicating at least 1 hour per week to tweeting and will keep each other updated with news, comments, and replies in the Facebook group. We only have 10 more years to address the climate crisis and every elected official — including Governor Walz — must take action to protect our planet and be a climate leader. 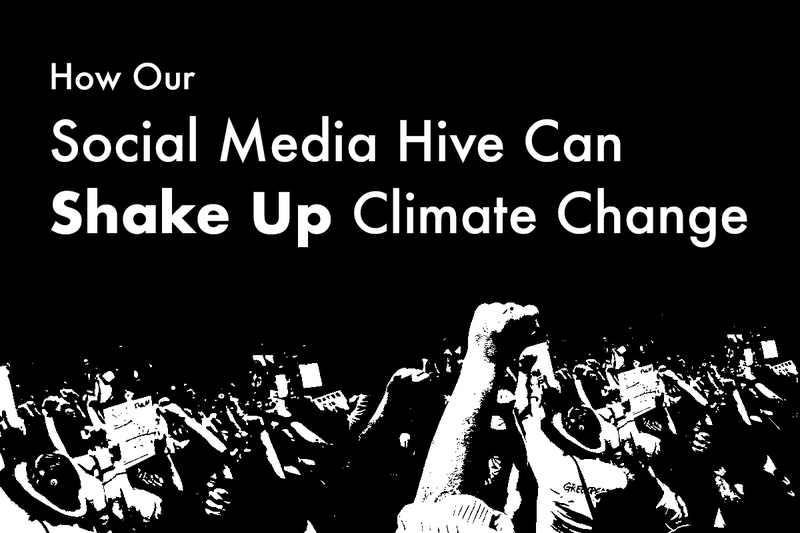 Join the Social Media Hive and demand that Governor Walz make the right decisions to protect our climate! Layla Anthony is the Supporter Mobilization Fellow at Greenpeace USA.